Evolution E05 is an hallway shelves and mirror set. These single elements can be placed wherever you like by choosing the configuration and direction of their layout. 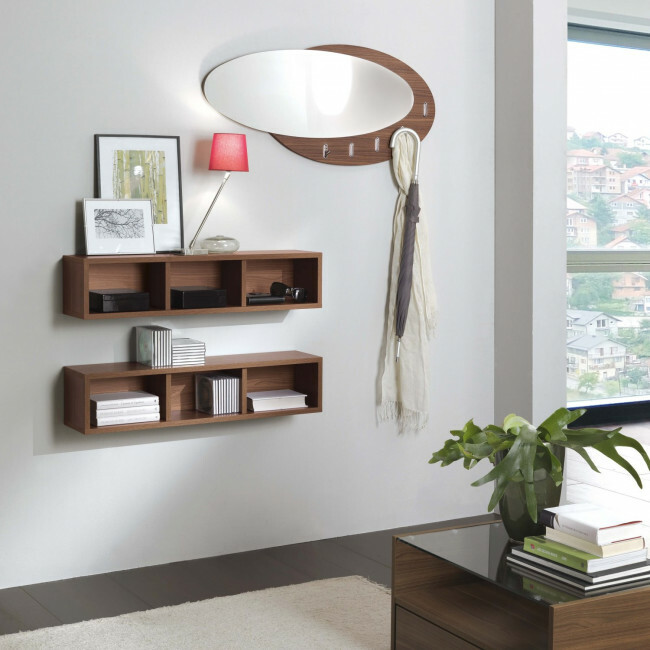 The shelves come with open compartments which can be used to display objects or as coin trays and they can be wall mounted in a vertical or horizontal position according to your own needs and tastes. The oval shaped mirror comes with a side frame including 5 small pressure hooks for coats, scarves and other small items. Evolution E05 is the perfect solution for small hallways where the space at disposal is not enough for a proper multi-purpose cabinet. Thanks to this set you can furnish the wall having at the same time all the necessary close at hand before leaving the house or as soon as you come back. 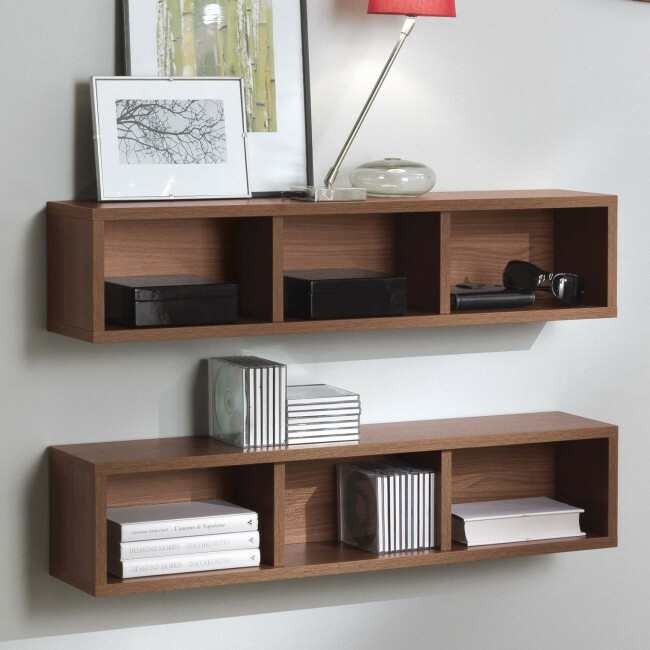 - 2 storage shelves in Canaletto walnut. 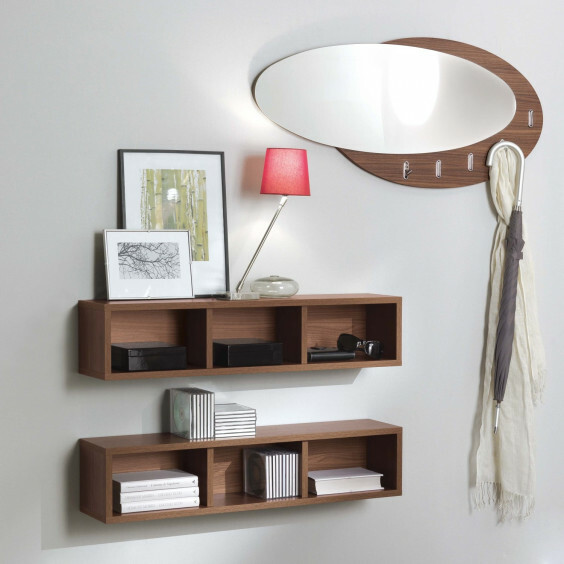 Storage shelves: cm 90 h.20 d.20 melamine coated wood. Evolution E05 belongs to Evolution collection, which gathers modern hallway furniture. By visiting our shops and Partner Retailers you will receive professional assistance in creating the perfect furniture solutions for your own space. The panel is customizable for measurements and finishes. Shelves are available in several finishes. You can find all customization possibilities of this hallway furniture by using the configuration menu.